State Approved Nursing CEUs with Unlimited Access for 19.77 a Year! Unlimited Nursing CEUs for $19.77 for an Entire Year! $19.77 a Year for Unlimited State Board Approved Online Nursing CEUs! 500,000+ Nursing Professionals have completed over 2,400,000+ Online Nursing Continuing Education Courses over the last 20 Years and depend on the RN.org® family of websites for the absolute best value each and every day. NursingCeus.co offers Register ed and Licenced Practical Nurse / License Vocational Nurse Education in a quick and convenient way for over 20 years. Many of our courses are also approved for Licensed Practical Nurses, Licensed Vocational Nurses, Nursing Assistants, Nurse Aides, Certified Nursing Assistants, Nurses Dietitians, Nutritionists, Home Health Aides, Midwifes, Certified Respiratory Therapists, Registered Respiratory Therapists, Respiratory Care Practitioners, Approved Medication Assistive Personnel and School Psychologists. You can learn and earn State Board Approved Continuing Education Units or Nursing Contact Hours by taking Accredited courses on NursingCeus.co. You take the CEU online course with instant grading of your test and Immediate Certificates! No books, time off from work, time away from your family and no travel involved. Nursing Contact Hours available instantly in the comfort of your home, wireless cafe, bookstore or restaurant! NursingCeus.co is your online nursing education provider and offers one flat fee for ALL your nursing online continuing education. This one rate includes the courses, testing, retesting (if required) and unlimited access for one year! At any time you may log into to view your transcript and reprint any nursing continuing education certificates you earned under your profile. All course materials and testing is included for one flat rate! There are no hidden fees or costs! If your hospital, staffing agency or organization is looking for a source for RN CEUs that is State Board Approved consider us! We can compliment your existing nursing education program with our extensive course catalog which is constantly growing. If you have specific courses that you require your staff to be proficient in, we can test (and certify) your nurses over your materials. We offer various discounts based on volume and are exclusive providers to various agencies and hospitals. We are a leading online provider and offer a FREE Course Online! Go ahead and try a Free CEU nursing continuing education course on us! Learn the latest information on HPV and the new vaccine with the relationship between HPV and Cervical Cancer with this fantastic course! See for yourself how easy it is to learn online using our website! And of course at any time you can upgrade to Complete, Unlimited membership to every course for $19.77 for an Entire Year! There isn't a single Online Healthcare Continuing Education Provider that offers as much value for $19.77! 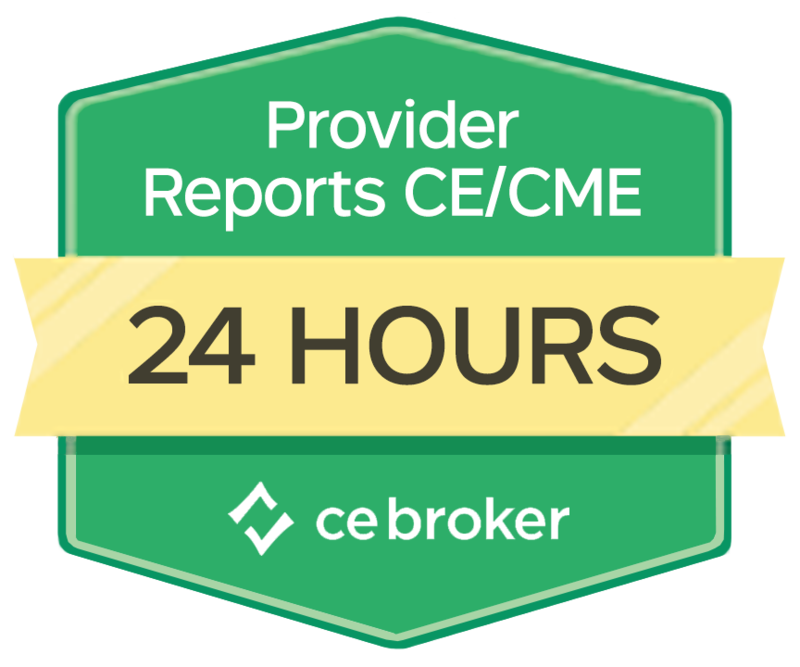 And of course we automatically report course completions electronically to CE Broker. We continue to lead the way in offering the absolute best value with Unlimited Nursing CEU's for an entire 12 months at the amazing price of 19.77! You won't find another CEU provider who offers such an incredible value containing so many courses plus a Free CEU Course with automatic electronic reporting to CE Broker! Copyright © 1997-2019 NursingCeus.co, S.A. All Rights Reserved.